increased oil production · Accutane – a powerful prescription item – 40 mg/day for one week sometimes stops acne if started at the first sign or as directed by your doctor. Accutane is potentially highly liver toxic and can lower testosterone. Do not use unless as last resort. Caused by DHT effect on hair follicles · Nizoral shampoo– Available by prescription and over-the counter as a lower dose product. · Propecia (finesteride) – Available by prescription. 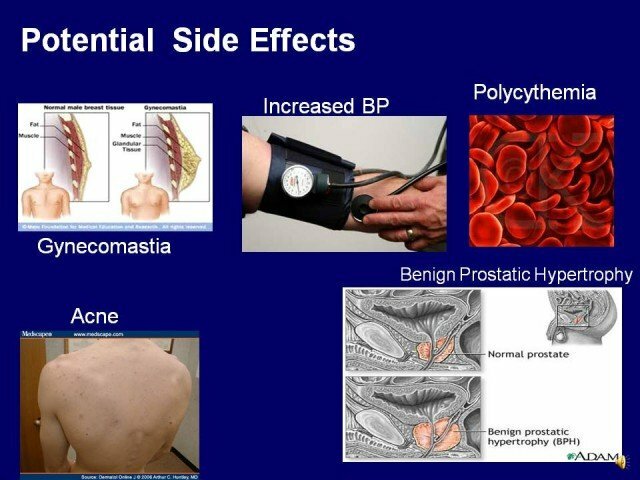 A few males experience decreased erections with finesteride. Do not use. · Human chorionic gonadatropin (HCG) – First dose is 2,000 IU, then 250-500 IU twice or three times a week. No protocol has been proven in controlled studies yet. 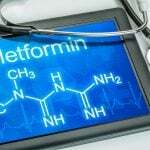 · Melatonin – 1 to 3 mg before bedtime. If you wake up groggy after 6 hours your dose should be lower. 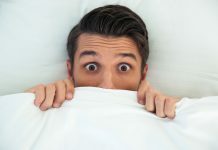 · You may want to try a comprehensive sleep formula with tryptophan, melatonin and herbs. Nutrients do not work as well as drugs, but they can help some people. · Meditation, mindfulness,yoga, breathe from your belly for a few minutes when over reacting. · Supplements – Magnesium (600 mg/day); vitamin B6 (100 to 200 mg/day); may help reduce water retention.
. Check your estradiol to make sure it is not over 45 pg/ml. Treat if high.
. Make sure you are doing cardio exercise at least 3 times a week for 30 min. 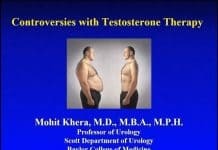 Caused by overproduction of estrogen, which can happen when is there is too much testosterone. (Testosterone converts into estrogen.) · Arimidex (anastrozole) – Inhibits estrogen production. Available by prescription. 1 mg/day until sensitivity stops, then ½ mg per day. Some people take .25 mg two to three times a week for maintenance. Ensure that your estradiol is under 45 pg/dl but do not go too low (under 20 pg/ml) since it is needed for bone, skin, brain, lipids, libido, good lipids and hair health. · Nolvadex (tamoxifen)– Competes with estrogen for receptors. Available by prescription, 10 to 20 mg/day. Use of Nolvadex during a steroid cycle may reduce the net anabolic effect, as it decreases the production of GH [i] and IGF-1. 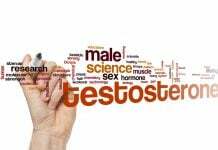 Video on estradiol and testosteroneCheck your estradiol with the right sensitive test. 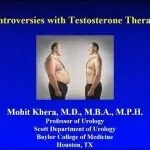 · Testosterone replacement in men seems to exacerbate body hair growth. · Saw palmetto extract – May be effective for reducing prostate problems, but one study suggests that this herb may reduce the effects of testosterone, too. [ii] Contradictory data. · Check your prostate specific antigen and have a digital rectal exam before starting any TRT program, to detect potential for prostate cancer, especially if you are over 35 or have a family history of prostate problems, and discuss with your doctor who frequently to monitor in the future since guidelines have changed.
. Although not proven, there is some evidence that grapefruit may lower hematocrit. However, grapefruit increases blood levels of many medications and cause increased side effects due to that,so talk to your doctor. WARNING: Donating blood too frequently can decrease ferritin and iron and cause fatigue. Check those two blood tests. If low, short term iron+vitamin C supplementation may be required. 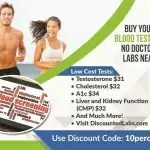 Video on testosterone and hematocritCheck your hematocrit cheaply here. 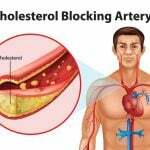 Decreased HDL (high density lipoprotein- good cholesterol under 40 mg/dL) . Talk to your doctor (or ask for a referral to a fertility doctor) about the findings of these studies using HCG or Clomid (clomiphene). No need to stop or avoid TRT if you want to have kids! [i] Metzger, DL, et al. Estrogen receptor blockade with tamoxifen diminishes growth hormone secretion in boys: evidence for a stimulatory role of endogenous estrogens during male adolescence. J Clin Endocrinol Metab (1994) 79(2):513-518.